Always plant fresh parsnip seed as it loses its viability very quickly and doesn’t keep well from season to season. Radicchio is a leafy vegetable with slightly bitter-tasting leaves that enjoys growing in the cooler months. 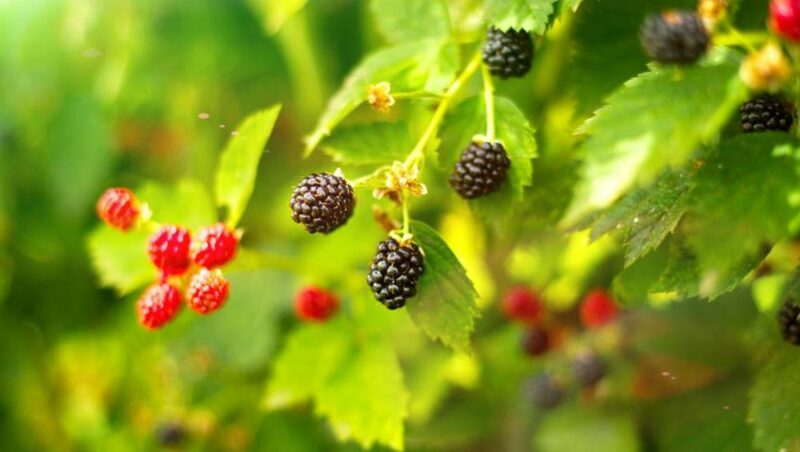 One of the most invasive weeds is the blackberry which was introduced into Australia as feed for the imported game bird, the great curassow, which failed to establish itself unlike its food source which went on to become a widespread environmental weed. In the garden situation remove small seedlings as soon as they are noticed and well before they become established. If left to fruit they are consumed by birds that spread the seeds. When dividing canna lilies, choose rhizomes with two or three growing eyes. Canna lilies can be divided as soon as the flowering period is over. When dividing for replanting select new rhizomes with two or three growing eyes. The rhizomes of canna lilies are rich in starch and are used in Vietnam to make cellophane noodles. Camellia seeds can be sown in autumn in 12-centimetre pots or seed trays. They should germinate in spring and when large enough to handle they can be potted on or planted into the garden. Autumn is a good time take cuttings from the hoya plant. Hoya cuttings can be taken in autumn using short, side shoots planted in a mixture of sand, peat moss or leaf mould. Keep in a warm, sheltered position with plenty of light but no direct sun. Leaf cuttings can be taken from mature leaves and planted in clean sand. Insert the leaf stalk and lay the leaf on top of the sand. Treat as you would for stem cuttings. Large blisters in the bark around the base of a lemon tree and leaf loss are usually symptoms of collar rot, a fungal disease which commonly attacks lemons. Poor drainage or the placement of mulch right up to the trunk are the usual causes of collar rot. Shallots like a sunny position with an almost-neutral soil. Shallots have a copper, reddish outer skin and white flesh usually tinged with green. The sweet, mild flavour has a hint of garlic. A sunny position in a rich loamy soil with a pH of 6.5 is ideal for them. Plant bulbs in autumn with a little of the top above the ground, five to seven centimetres deep and space them about 15 to 20 centimetres apart.